Article 3 of the Treaty of Waitangi, signed by Māori leaders and the British Crown in 1840, stated that Māori would enjoy ‘all the rights and privileges of British subjects.’ This new citizenship of a British colony was laid over the top of Māori forms of social organisation and understandings of nationhood and citizenship. The New Zealand state has struggled to come to terms with Indigenous forms of citizenship and over time has changed its approach to Māori citizenship to try to address this. 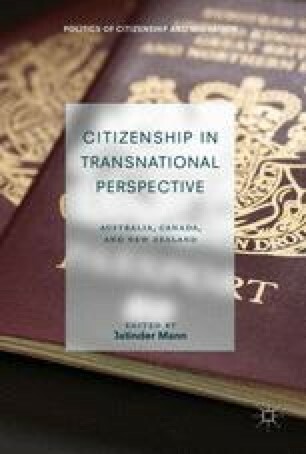 This essay considers the nature of Māori citizenship today in the era of Treaty of Waitangi settlements, exploring how citizenship in this period of transitional justice is informed by political, social, and justice dimensions of conceptions of Māori citizenship over time.